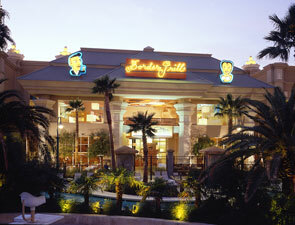 Make cheerful memories with Mom this Mother’s Day and join Border Grill Chef/Owners Mary Sue Milliken and Susan Feniger for an entertaining experience that will treat the treasured woman in your life. Guests are invited to enroll in a two-hour demonstration-style cooking class, which features brunch favorites from the restaurant’s award-winning weekend brunch like Homemade Chorizo Skillet Chilaquiles and Huevos Racheros. Saturday, May 10th from 10am to noon. Admission is $100/person (excluding tax and gratuity). Space is limited, so please RSVP by calling 702.632.7403, or emailing your reservation to destiny.hampton@bordergrill.com. 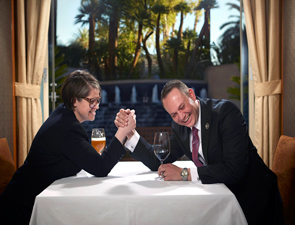 Bellagio’s Epicurean Epicenter Series will educate guests with a fun and informative “Old World vs. New World” wine pairing dinner at Sensi Friday, May 2 at 6:30 p.m. 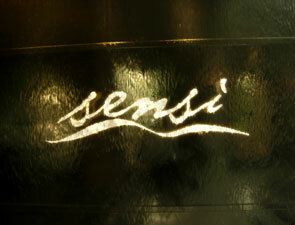 The four-course menu, created by Sensi Executive Chef Royden Ellamar, will be paired with a variety of unique wines from the world’s greatest estates. Wine Spectator Executive Editor Thomas Matthews and Bellagio Wine Director and Master Sommelier Jason Smith will host the event, providing guests with an explanation of the difference between old world and new world wines as well as the inspiration behind their pairing selections with Chef Ellamar’s contemporary cuisine. 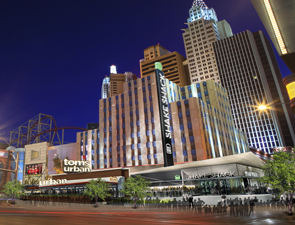 New York-New York Hotel & Casino is turning up the flavor on its dynamic new plaza experience with the addition of fan-favorite restaurants Tom’s Urban and Shake Shack, opening December 2014. The restaurants will take the space currently occupied by The Sporting House (closing June 3), and join recently opened retail outlets Swatch, Stupidiotic, I Love NYNY and Starbucks, as well as Hershey’s Chocolate World, which is opening this spring. The plaza is anchored by the property’s famed Brooklyn Bridge. Boasting patios overlooking both MGM Resorts International’s upcoming park and entertainment district as well as New York-New York’s iconic Brooklyn Bridge, Shake Shack will introduce its highly anticipated first West Coast Location. Let’s start by introducing the mastermind behind the concept. Tom Ryan. Recognized by Gourmet Magazine as one of the “Top 25 Food Entrepreneurs of the Last Quarter Century,” Tom Ryan is the namesake of Tom’s Urban. He founded the concept with restaurant financier Rick Schaden in 2012. The two spent a lot of time together traveling to the best “food cities” around to understand the uniqueness of urban cultures, food and lifestyle in America. Tom’s Urban will deliver an energetic experience with a fun and modern menu featuring offerings that range from Butter Poached Lobster + Shrimp Tacos to Xiangxiang Crispy Duck Wings to Tailgater Bratwurst Breakfast sliders - Tom’s Urban has you covered 24 hours a day. 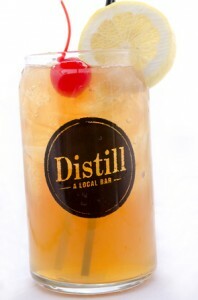 The restaurant also will feature an extensive selection of craft cocktails and cold beer, perfect to be enjoyed on its lively indoor-outdoor patio. Tom’s Urban has its roots in Denver where it became a must-visit destination after opening in 2012. 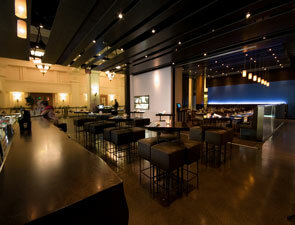 A second outpost opened earlier this year at L.A. LIVE in Southern California. Tom’s is the first, next, last place to meet, eat and drink. Shake Shack® is a modern day “roadside” burger stand known for its all-natural burgers, flat-top dogs, frozen custard, beer, wine and more. With its fresh, simple, high-quality food at a great value, Shake Shack is a fun and lively community gathering place with widespread appeal. From its ingredients and hiring practices to its environmental responsibility, design and community investment, Shake Shack’s mission is to continually Stand for Something Good®. Shake Shack is part of Danny Meyer’s Union Square Hospitality Group (USHG), which includes many of New York City’s most celebrated restaurants: Union Square Cafe, Gramercy Tavern, The Modern, among others. Since the original Shake Shack opened in 2004 in NYC’s Madison Square Park, it now has multiple locations in New York, New Jersey, Washington, DC, Connecticut, Pennsylvania, Florida, Massachusetts, and international locations including London, Istanbul, Dubai, Moscow, and more. Get in the game with Las Vegas-based “Sports X Radio with Ken Thomson” as the local radio show streams live on Yahoo! Sports Radio inside Lagasse’s Stadium at The Palazzo Las Vegas every Monday through Friday from 7-10pm (PST). 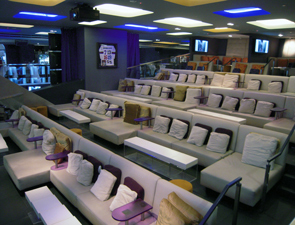 Teaming up together to create an unparalleled experience for sports fans, guests can be a part of the action as Yahoo! Sports Radio broadcasts live coverage with “Sports X Radio with Ken Thomson” each weeknight. Lagasse’s Stadium at The Palazzo Las Vegas scores every season with its athletic atmosphere paired with delicious cuisine created by Celebrity Chef Emeril Lagasse. Named “Best Sports Lounge” by Vegas Seven, and one of the “10 Best Sports Bars Across the USA” by USA Today, Lagasse’s Stadium is revered by those who love to eat, drink and watch sports. With more than 100 HD TVs including a 9 foot x 16 foot main TV, fans never worry about missing the action. Those looking to make a few friendly wagers can up the ante with The Palazzo Las Vegas’ race and sports book located inside the venue; while the interactive pocketcasino mobile device allows fans to bet on the action as it happens. Sports X Radio with Ken Thomson on Yahoo! Sports Radio will air live from Lagasse’s Stadium on the network and online at yahoosportsradio.com. Local listeners may also tune in to 720AM on KDWN radio network. To experience the live broadcast at the venue, guests can call (702) 607-2665 for reservations or visit www.palazzolasvegas.com for more information on special offers. 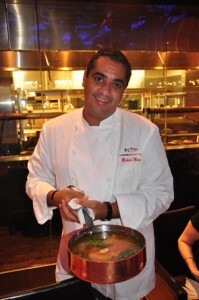 This winter, James Beard award-winning chef Michael Mina will unveil BARDOT Brasserie in the space of AMERICAN FISH at ARIA Resort & Casino. A nod to Hemingway’s Paris, BARDOT Brasserie will offer a place to start the evening with cocktails, celebrate with friends and enjoy lively afternoon brunches on the weekend. Offering lunch and dinner, the menu will pay homage to the café culture of Paris and will be a reflection of traditional brasserie fare featuring a roving shellfish cart, roasted bone marrow with bacon marmalade, foie gras en croute and steak frites. 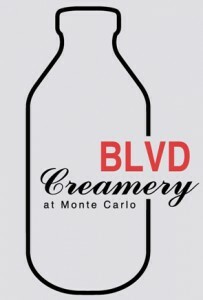 The BARDOT signature burger will present a dry-aged steak burger with Comte cheese, caramelized onions and a bordelaise sauce. Leading the brassiere’s expert team will be Chef Joshua Smith who began his culinary journey in Las Vegas and has spent many years under the tutelage of Michael Mina, among other celebrated chefs. The cocktail program will tip its hat to the eclectic bars throughout the Parisian districts, and the rich and wonderful history that exists therein, with twists on classics such as the Sidecar from Harry’s Bar and Serendipity from Bar Hemingway. Featuring an array of new world and old world wines, the wine program will focus on the regions of Burgundy, Bordeaux, the Rhone, Alsace and the Loire. BARDOT Brasserie will be designed by Bishop Pass to convey the mood of early French film noirs where low lighting and dramatic shadows set the stage for an alluring and mysterious experience. An open kitchen will be set behind a Parisian storefront, while the centerpiece of the restaurant will be a 360-degree accessible bar with counter-to-ceiling brass shelving. 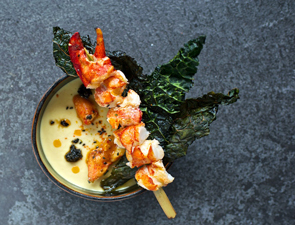 AMERICAN FISH will close in July with the opening of BARDOT Brasserie slated for winter 2014. Yusho, the Japanese-inspired grill and noodle house by renowned Chicago chef Matthias Merges will make its Las Vegas debut at Monte Carlo in April 2014. The approachable menu will include varieties of fresh seafood, poultry, meats and vegetables, cooked-to-order over a chattering fire, along with house-made pickled vegetables, noodles and steamed buns. The high-energy venue will offer guests a variety of social experiences positioned right in the heart of The Strip. Visitors can choose which scene they want to focus on at Yusho - the prime location for people watching on the outdoor patio, panoramic views of the open kitchen as chefs create delicious dishes or comfortable seats at the bar as skillful bartenders serve handcrafted cocktails, Japanese beers or a refreshing sake selection. Whichever they select, the Yusho experience will be unlike any other on the Las Vegas Strip. The restaurant is part of a major transformation taking place at the resort as the entire front facade is recreated into a gathering place where visitors can take in the city’s robust sights, sounds and flavors. In addition to Yusho, the new plaza will feature a variety of casual restaurants, bars and eateries all opening this spring. Yusho’s playful 250-seat venue, designed by Rachel Crowl of FC Studio, was inspired by vintage industrial spaces, anime and Japanese ramen shacks making it a vibrant setting suited for any outing. Tables strategically placed around the exposed kitchen area will provide guests a front row seat to the culinary action while cozy corners throughout the main dining room are available for those that desire a more intimate dining experience. Yusho will be open daily for dinner. Doughnuts, sweet treats made with tofu, sweet potato and a hint of rosemary. Kitchen area: Tables located around the exposed kitchen present prime views of the skilled chef team grilling and preparing menus items. Guests seated in this area will get a behind-the-scenes look at the culinary magic. Bar: Guests may score insider tips as they watch knowledgeable bartenders mix handcrafted libations and serve a variety of Japanese sakes and beer at this interactive, high-energy space. Main Dining Room: Those looking to dine in a quieter, more intimate environment can take refuge in the cozy corners of the central portion of the venue. Others may opt for seating in the open area, ideal for surveying the action taking place in all quarters of the restaurant. Patio: The spacious outdoor patio located right in the heart of the bustling Strip will provide the ideal spot for enjoying the beautiful Las Vegas weather. Shaded areas protect from sun and rain, creating a comfortable and enjoyable al fresco dining experience year-round.